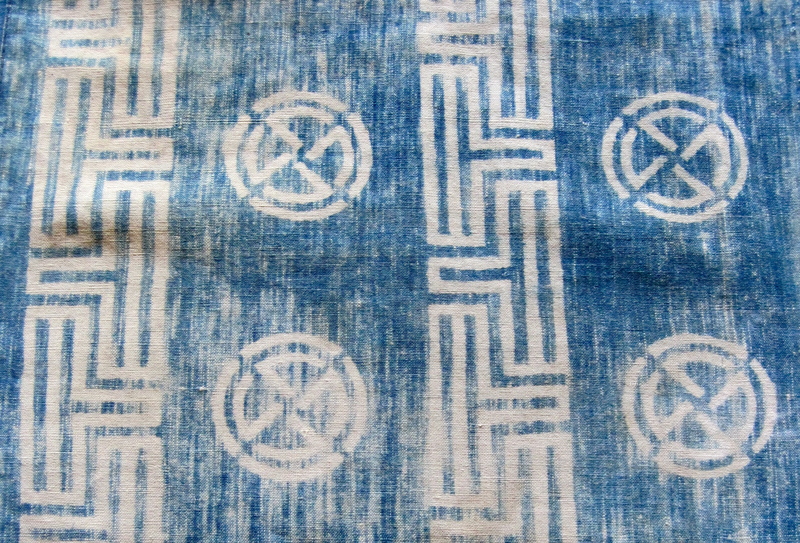 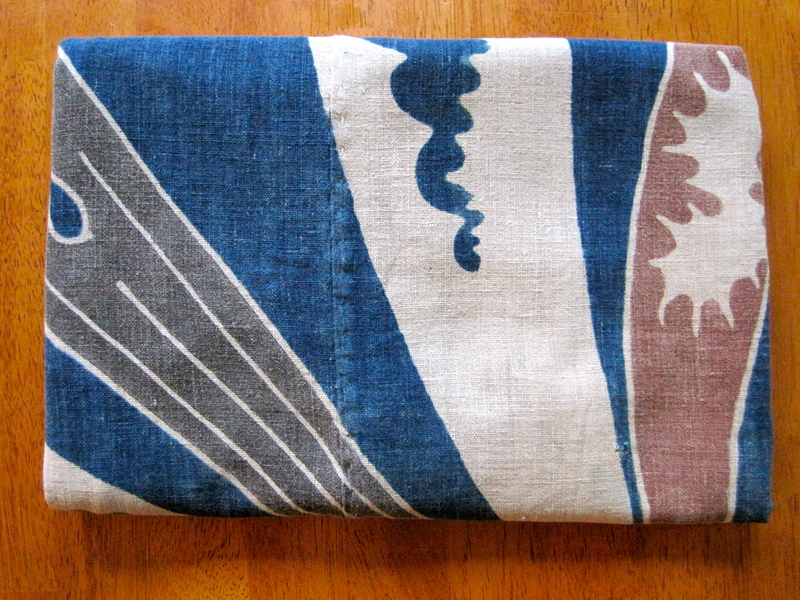 I recently found this late Edo or early Meiji period obi made from hand spun cotton. 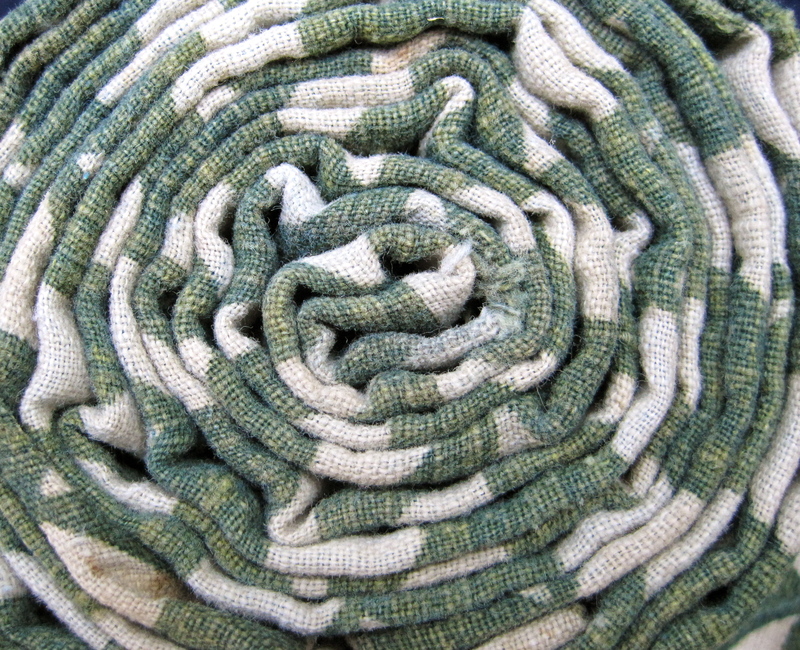 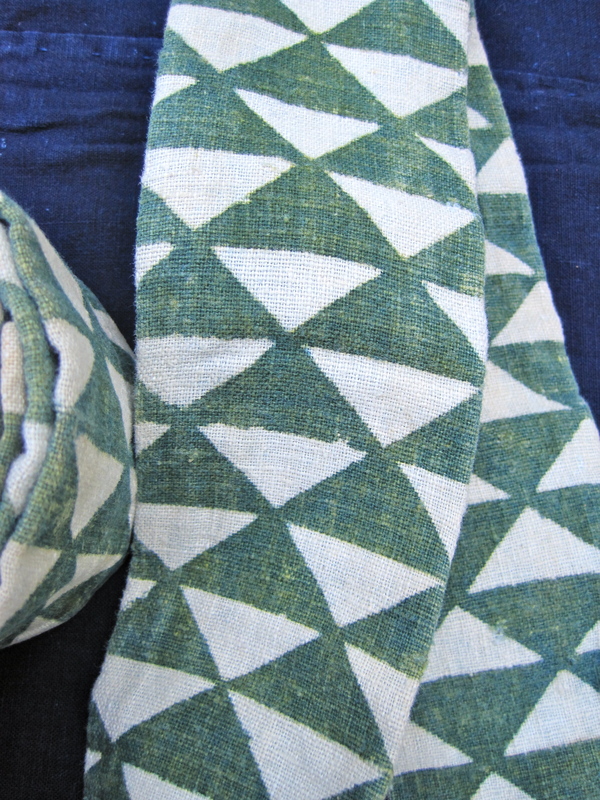 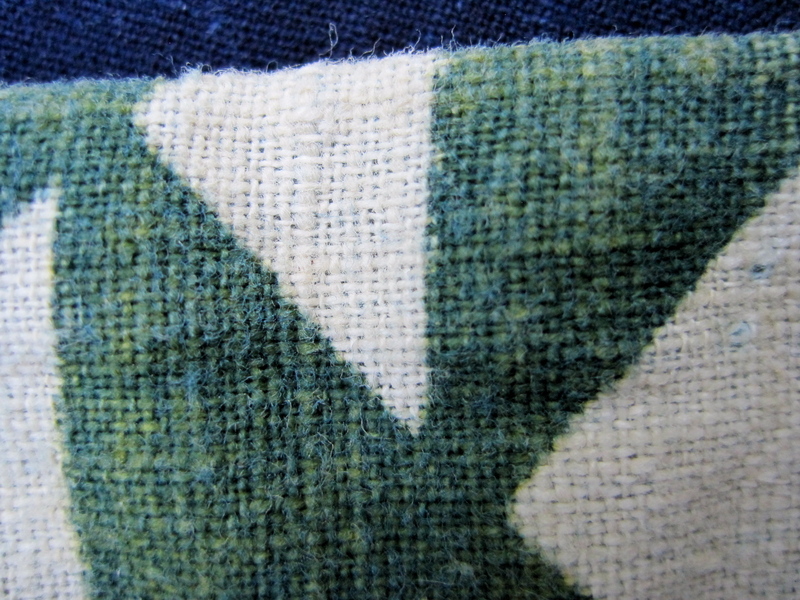 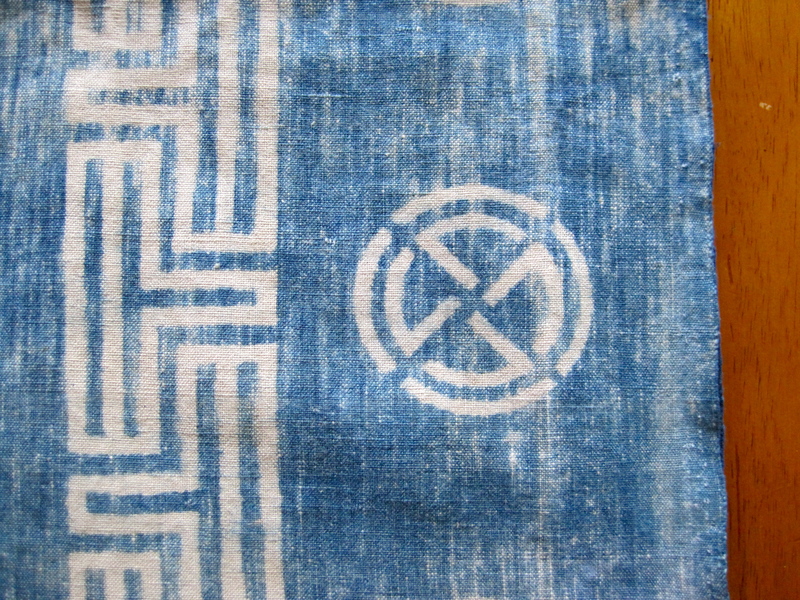 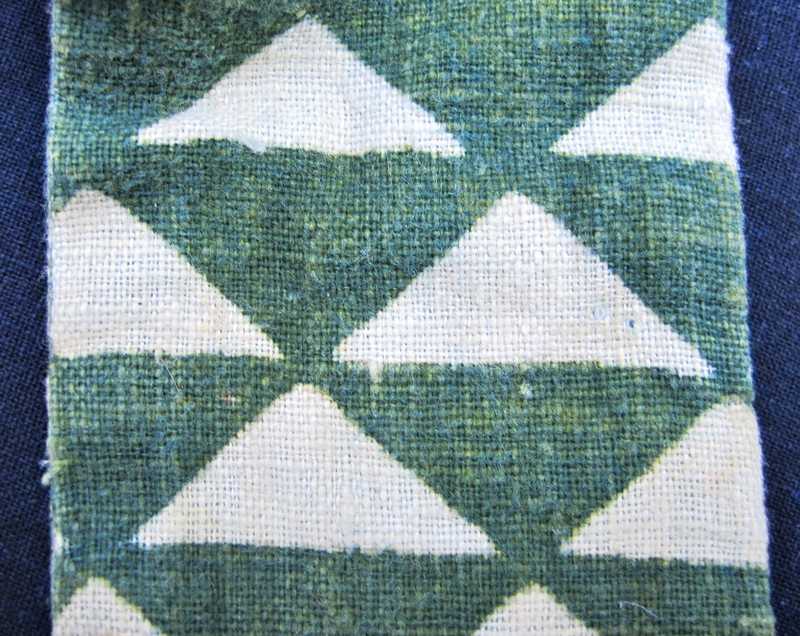 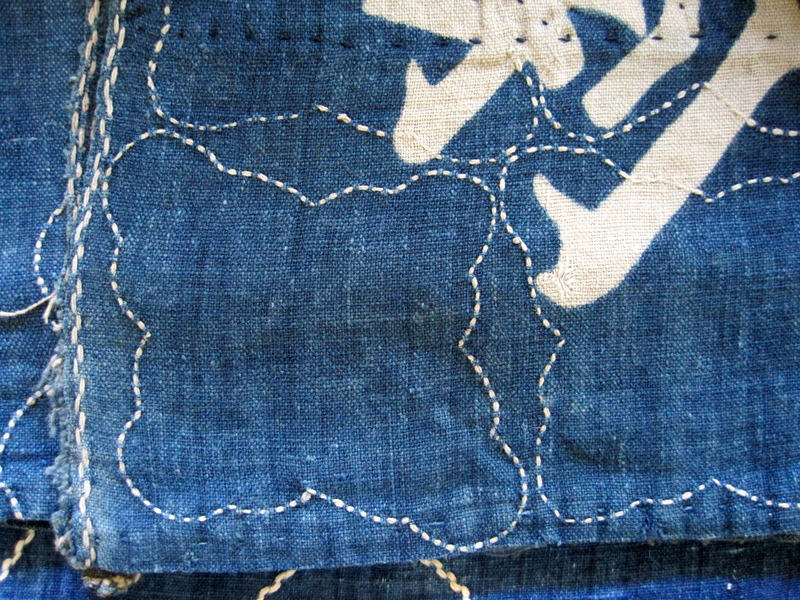 The obi has been dyed using indigo over dyed with a yellow to create a green color. 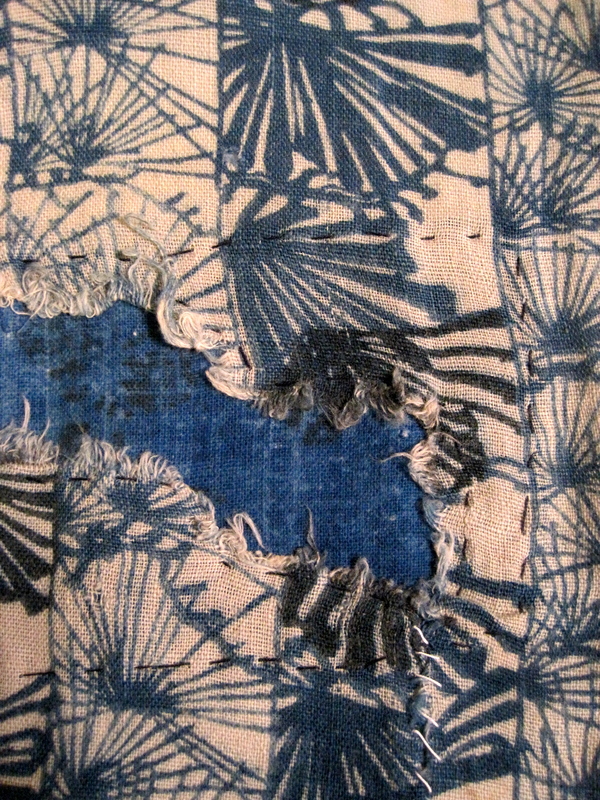 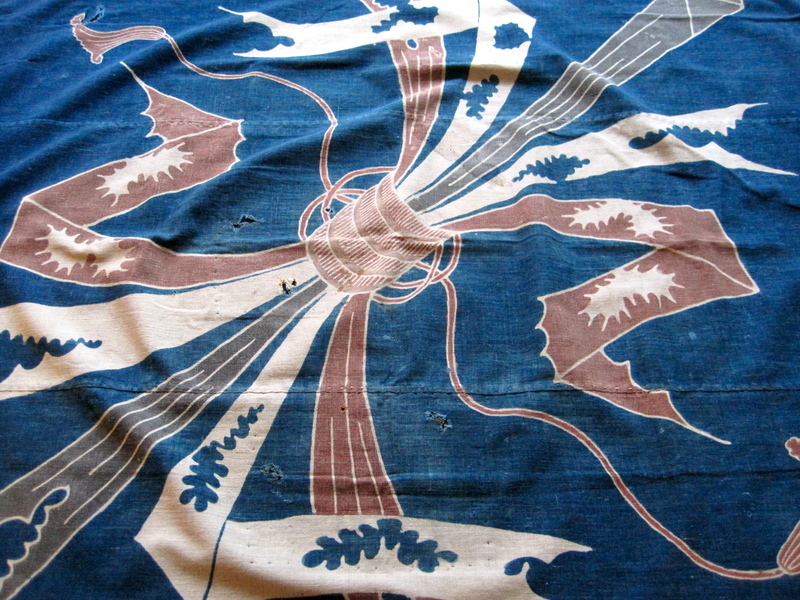 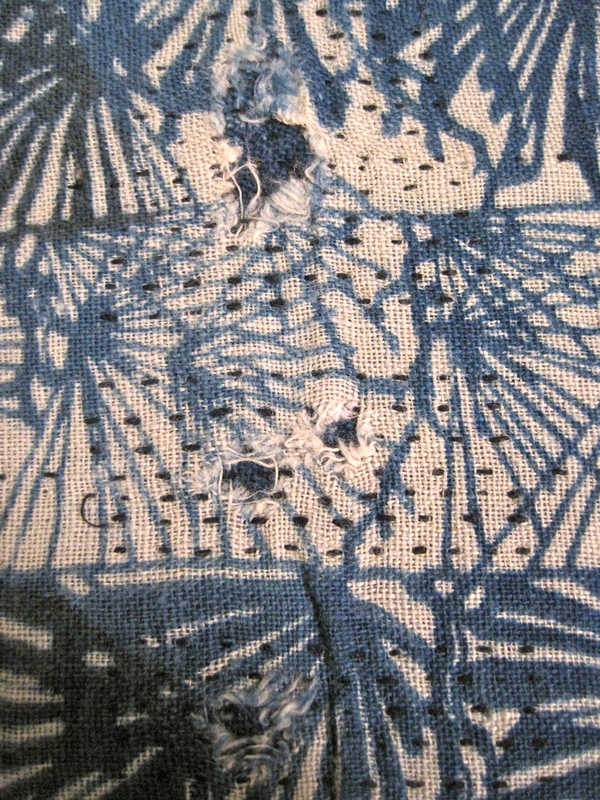 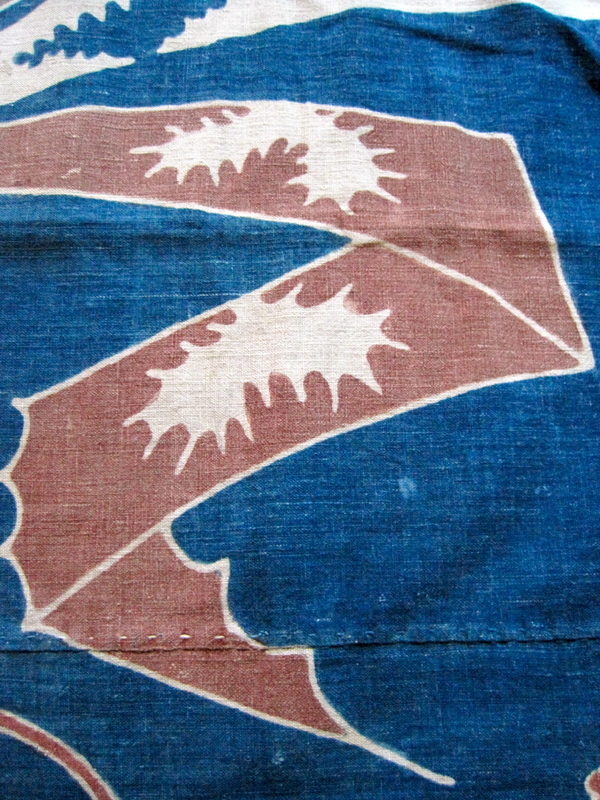 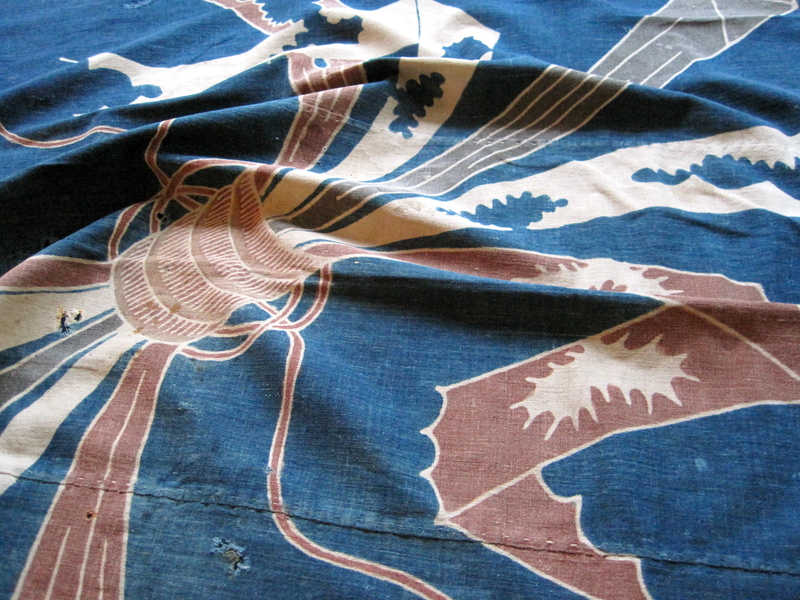 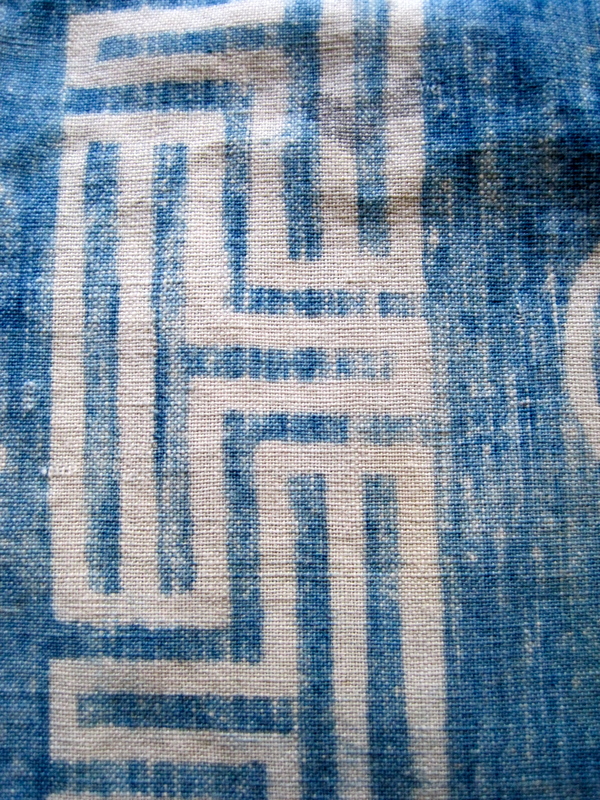 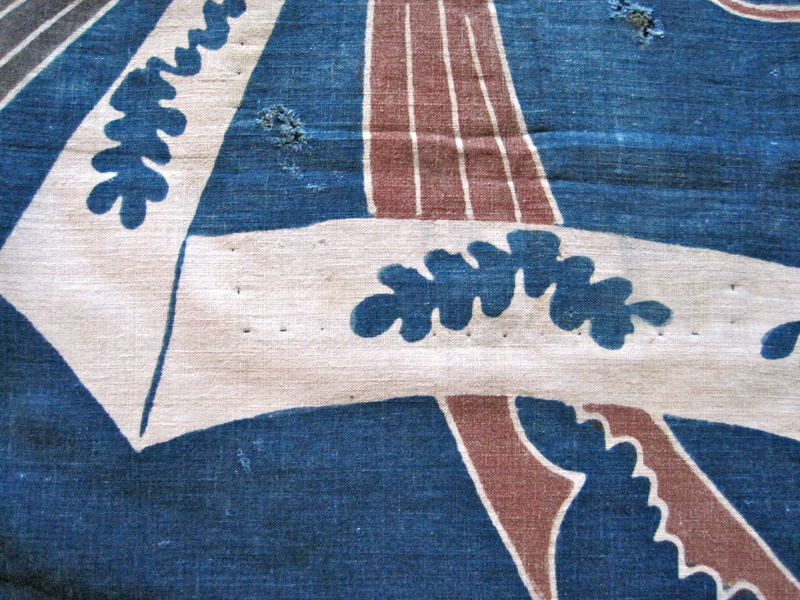 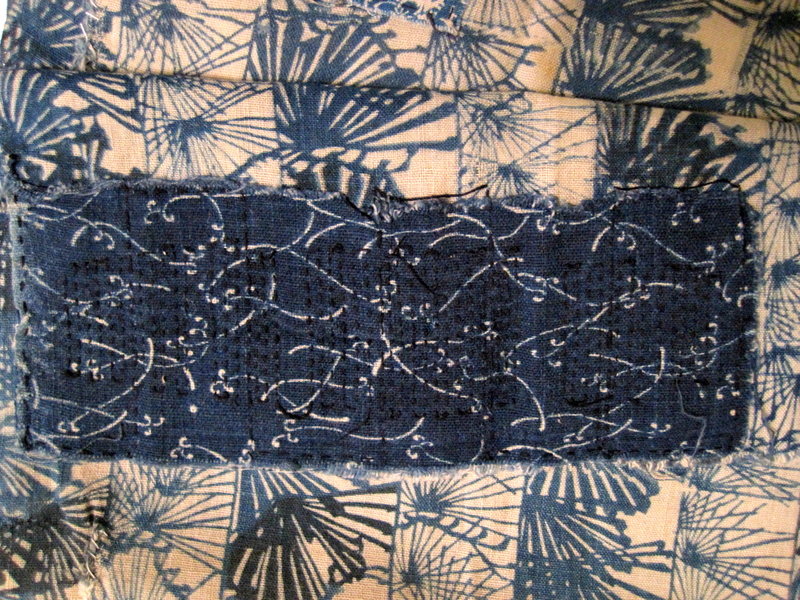 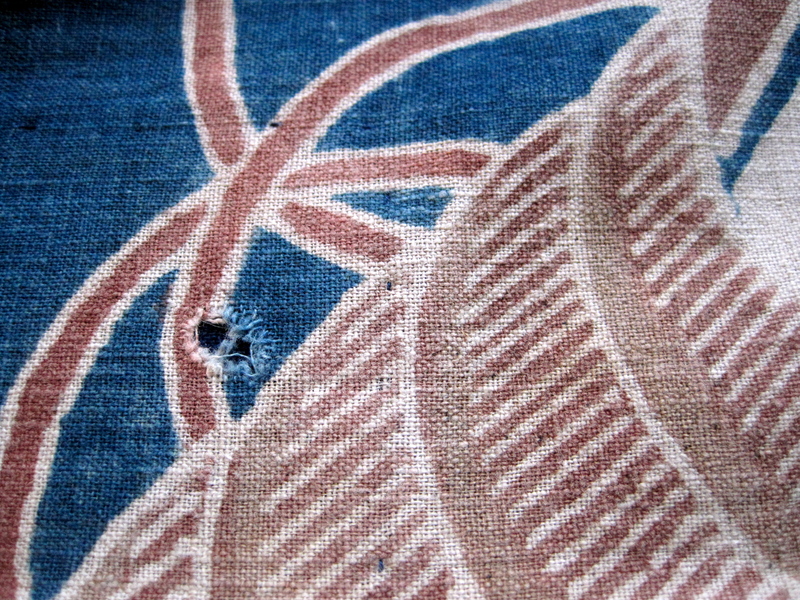 The pattern was created using a katagami or “stencil” to deposit rice paste onto the fabric before dying. 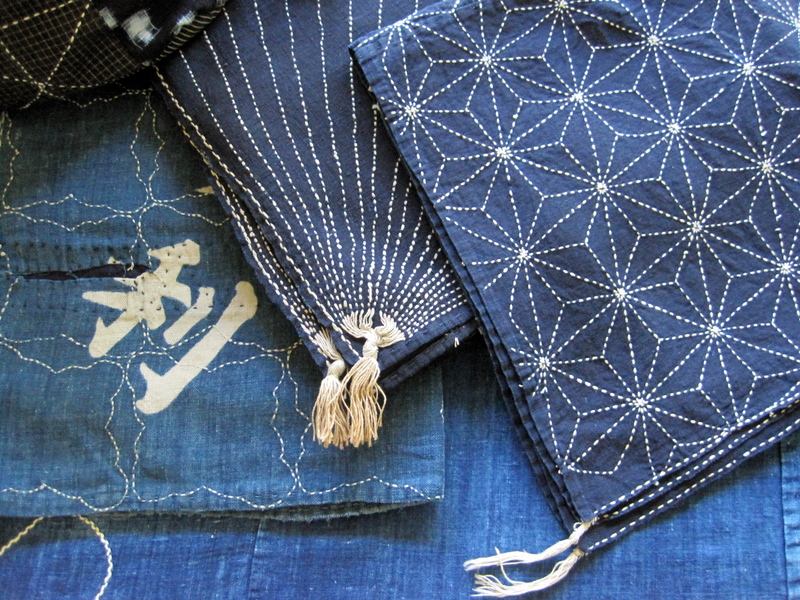 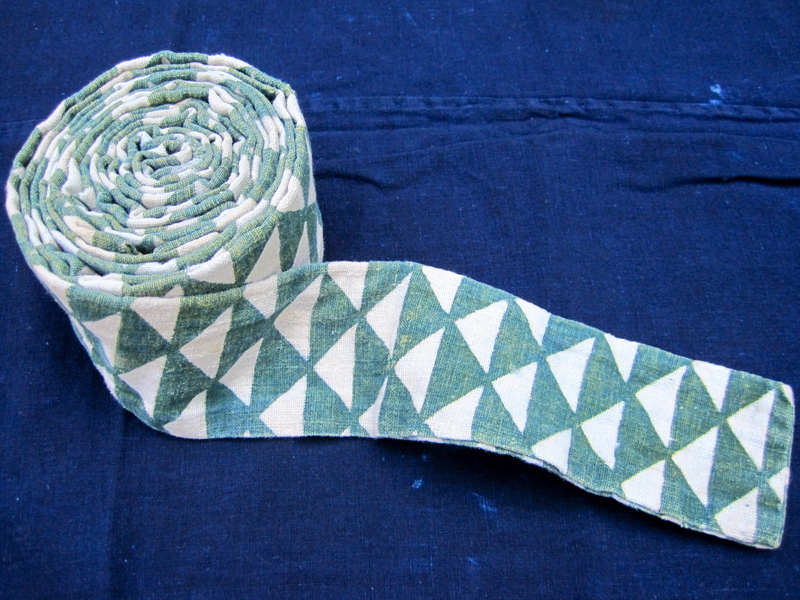 The obi is made from two lengths of fabric sewn together in the middle. 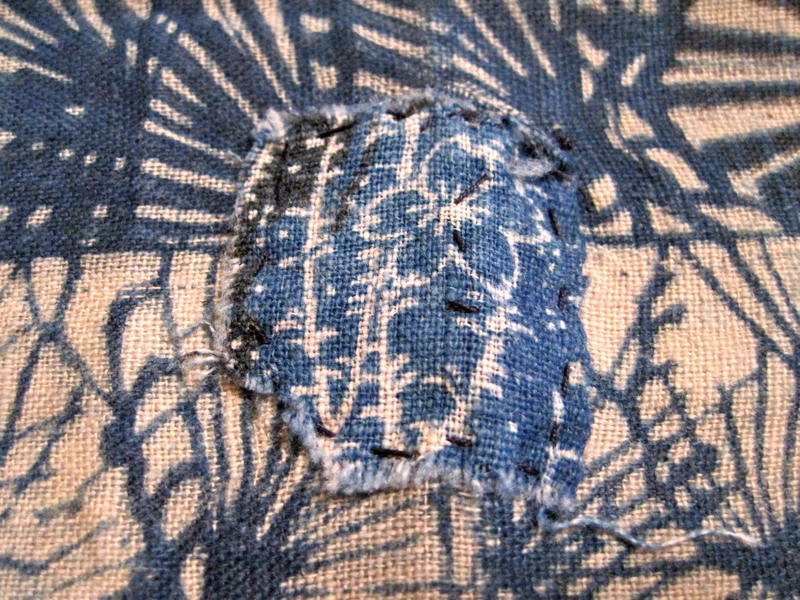 I think it was made this way because the person who made it was taking advantage of leftover fabric. 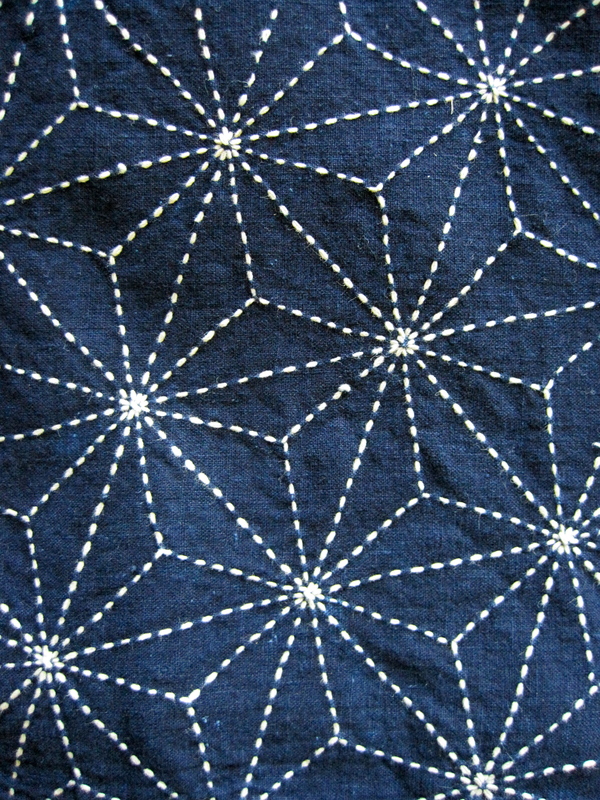 I love this geometric repeat pattern. 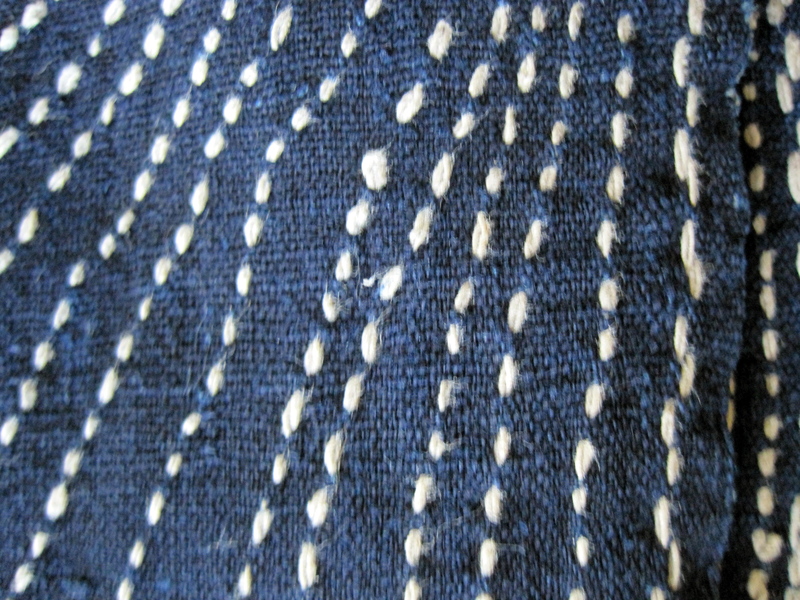 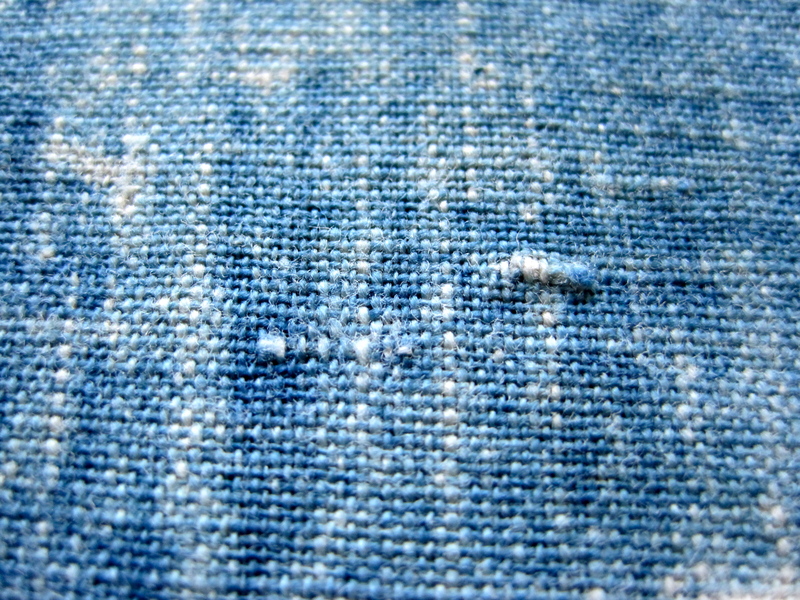 I think it could really work as a modern textile. 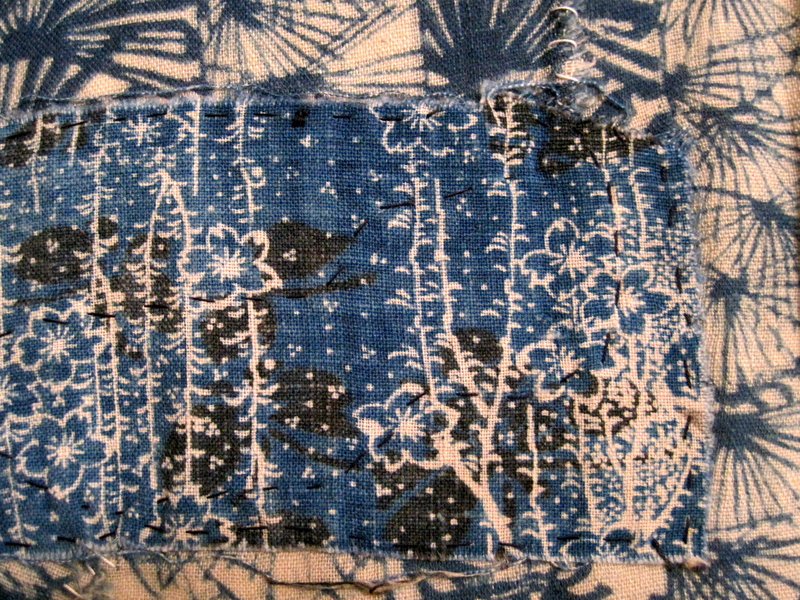 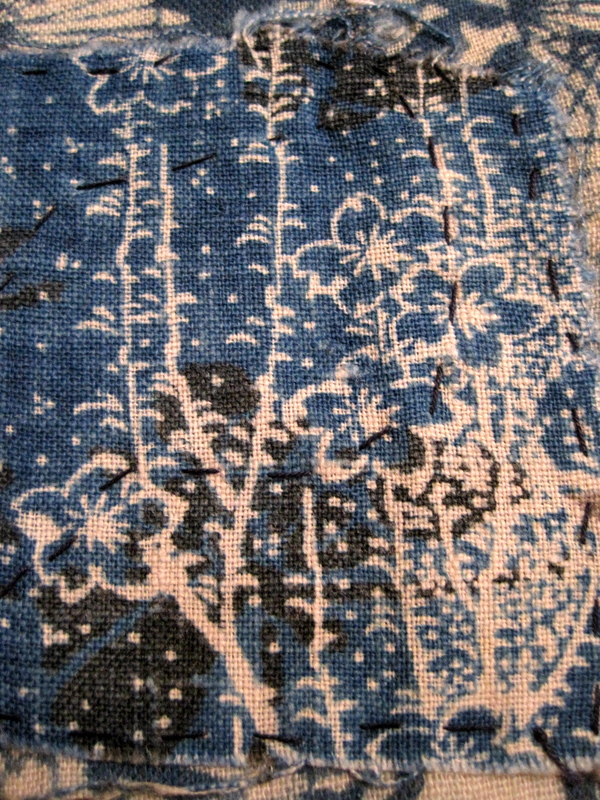 I would like to try to reproduce this fabric in the future. 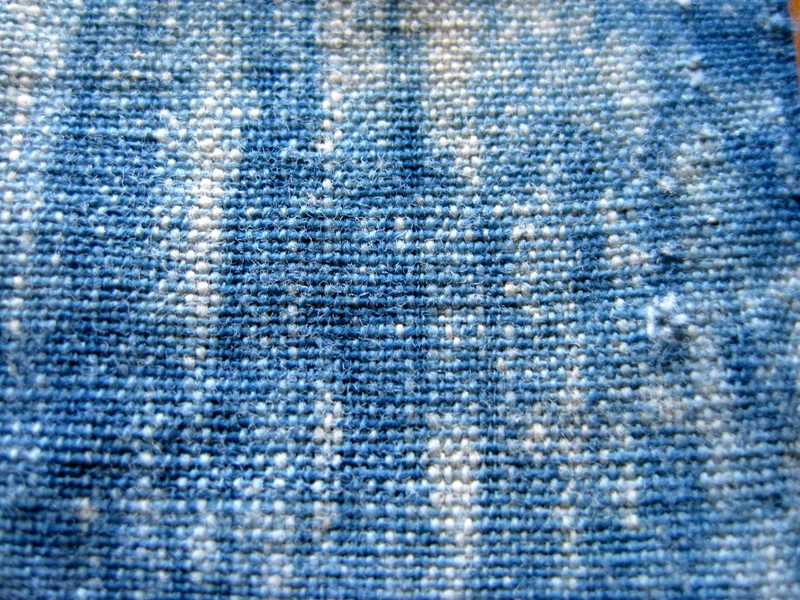 The colors that come out in this last photo show off the colors possible when over dying indigo.